Wild animal adventures, dinosaurs, Disney characters and spectacular live shows are a winning combination. Guided tours available. 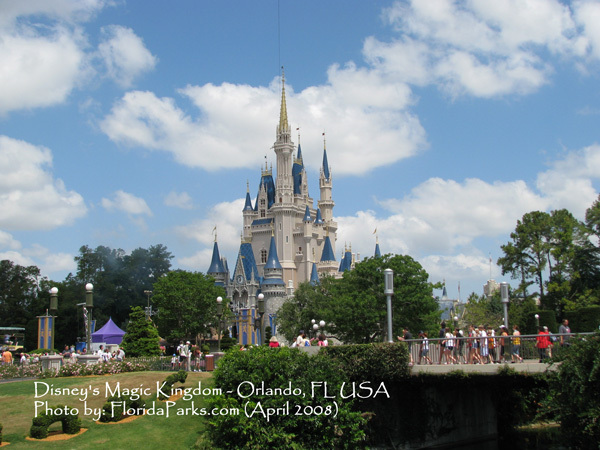 Experience the magic of Disney's four captivating Theme Parks and dive into fun at two refreshing Water Parks. There's something here to ignite the imagination and warm the spirit of everyone in your family or group. Dive into a wet and wonderful world of waterslides, wave pools, river rapids and relaxing beaches. Disney Water Parks provide the same imagination and attention to safety, service and quality as Disney Theme Parks. 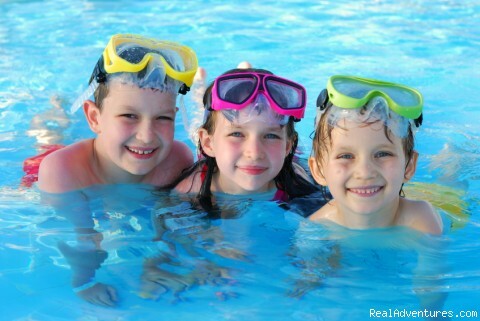 Your entire family will enjoy these delightful diversions, from sloshy fun for little ones to exciting thrills for teens. Enhance your vacation with an unforgettable aquatic adventure — add the Water Park Fun & More option. Call (407) 939-7812† to order tickets today! Chill out at the world's only "ski resort" Water Park with slippery slopes full of gushing good times! Our is luxuriously appointed and decorated great room opens onto the pool, and is perfect for watching your favorite shows on the large screen projection TV - or just sitting down and relaxing during the day or night. 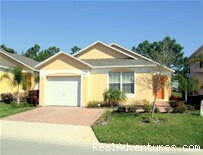 'Orange Appeal' has everything you need to enjoy a relaxing and luxurious vacation in the Sunshine State of Florida. 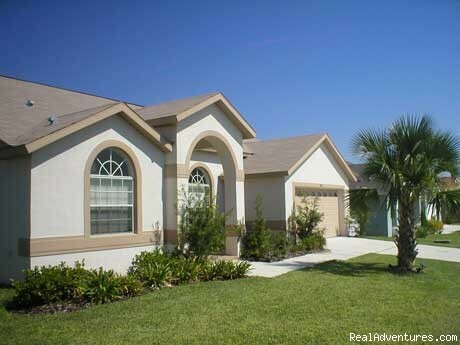 'Orange Appeal' is located in Central Orlando just outside Disney World theme park and is definitely vacation home to remember. 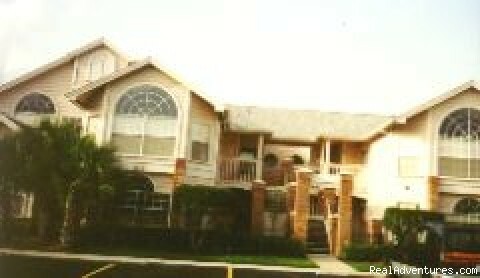 New Town Homes Resort, 5 miles to Disney World and minutes away from other Orlando attractions, shopping, and dining. 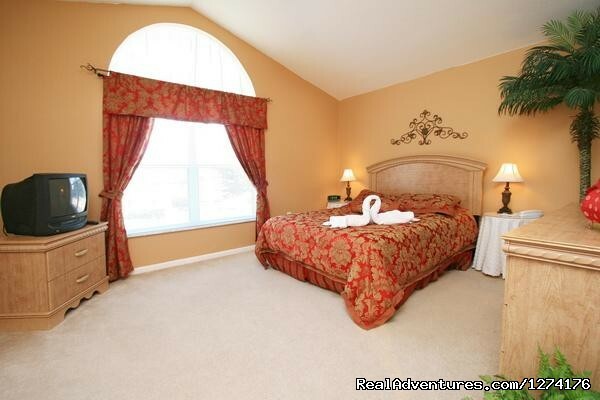 2 & 3 bedrooms town homes with all the conforts of home and the pleasures of a that Disney Dream Vacation. Come and stay at George's Dream Home. With a larger than average 3 bedrooms, we can accommodate up to 8 guests in splendid comfort. This three bedroomed, two bathroomed fully equipped villa with pool is in a quiet area backing onto the golf course for extra privacy. 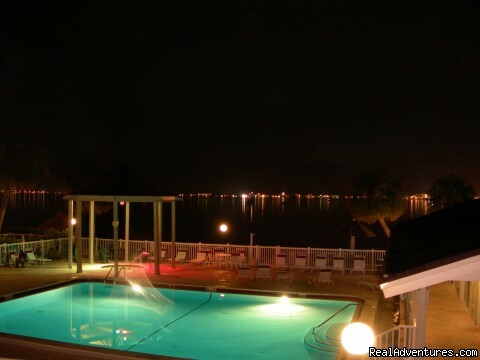 It is ideally located just off the I4 for easy access to all of Floridas attractions. 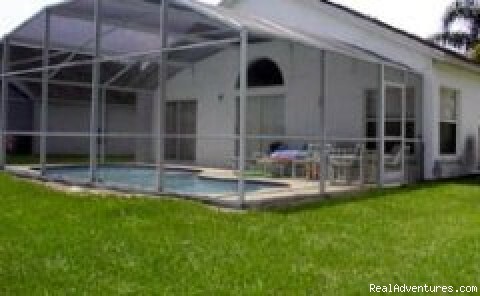 Luxury executive Orlando vacation home with 3 bedrooms, 3 bathrooms, den games room, swimming pool and hot tub is perfect for any type of vacation in Florida. 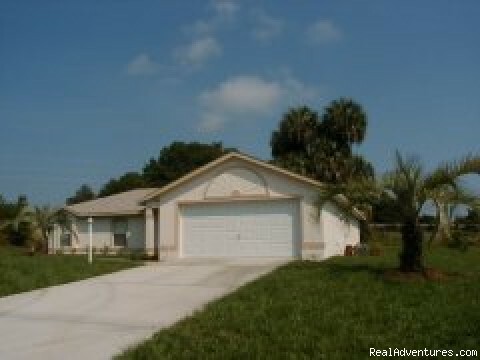 Large home on large lot in small Golf community. Our guests play golf on our membership on three (3) beautifull courses. 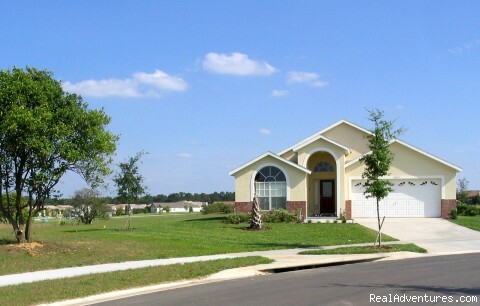 Beautifully decorated, new tile floors, all fully equipped kitchen, air-conditioned, full size washer/dryer, vaulted ceilings, 2nd floor, walk in closets, --1,600 sq. ft of relaxation. 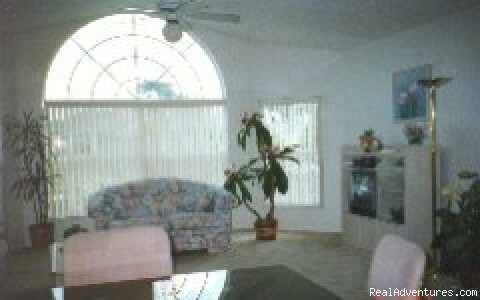 Beautifully decorated 3 bedroom/2bath villa only 10 min. from DisneyWorld/Epcot. Spacious, wonderful place to relax.